I’ve had this topic in mind for a while now and alluded to it in a previous post. Given there are more upcoming kits in the pipeline, there’s no better time to talk about this, and whether or not it makes sense. This post will be the first half for this topic, focusing on MODEROID kits. It is not uncommon for companies to release kits of the same characters and series in the same scale. Case in point the 1/60 Full Metal Panic! Invisible Victory kits from both Bandai Spirits, Kotobukiya, and Good Smile Company. This time around, both Bandai Spirits and Good Smile Company are releasing kits from Tomy’s Eldran Series which were made to rival Takara’s Brave Series. 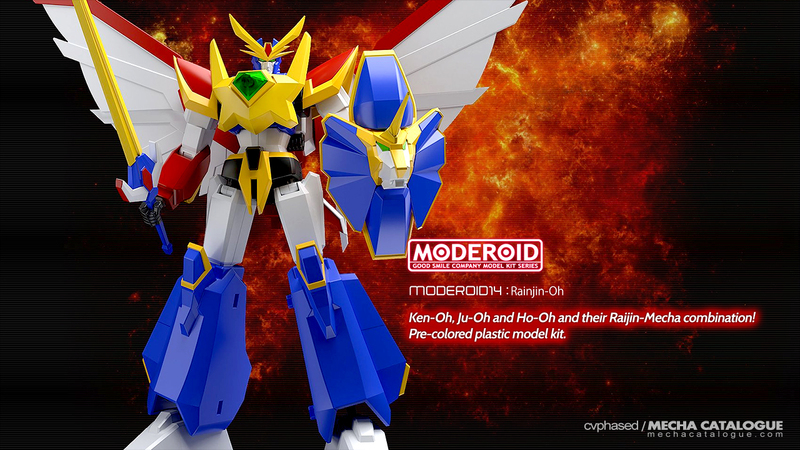 Good Smile Comapany will be releasing MODEROID Raijin-Oh, the first entry in the Eldran Series. 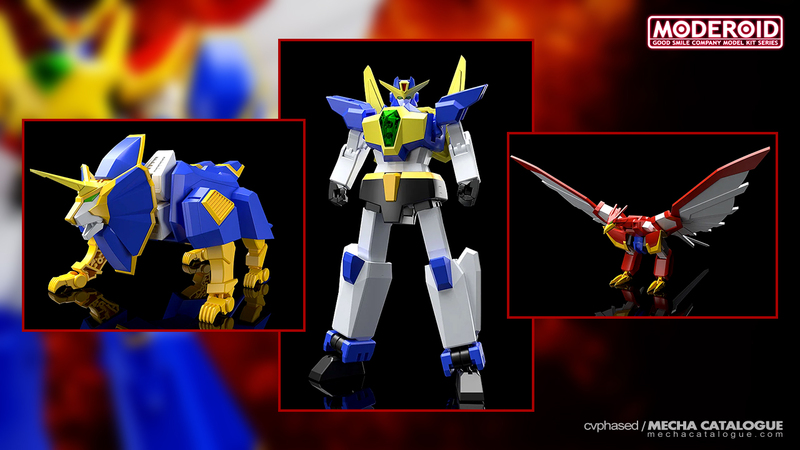 The kit is solicited as being able to transform and combine from its three component machines — Ken-Oh, Ju-Oh and Ho-Oh. If we’ll look are previous releases for comparison (i.e. MODEROID God Mars), then this will likely be done via replacing parts. It’s also being solicited as a non-scale kit and clocks at 160 mm when combined. It would be great if someone makes a size comparison the Bandai Spirits HG 1/300 Go-Saurer and this guy once it arrives at retail stores.